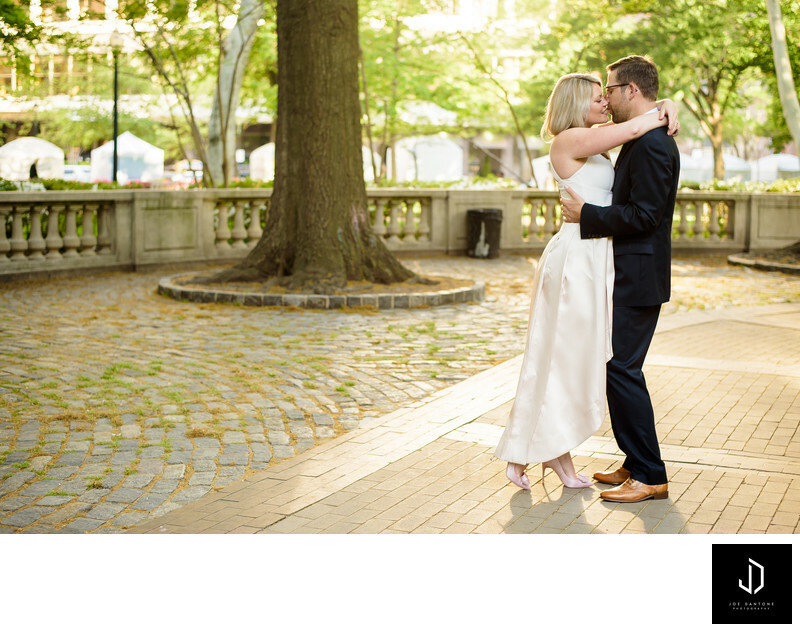 Rittenhouse Square is a great place to have an engagement session in Philadelphia. Usually during the early morning and the late after noon, and beautiful quality of light blankets the park. This give a warm beautiful feel to your engagement session pictures.